Why should I hire a Registered Yoga Teacher, R.Y.T.? On a regular basis people walk into my class with physical limitations such as joint replacements, pregnancy, high blood pressure, disc problems, etc.......How does a student know that a teacher can deal with these issues? By seeing to it that the teacher has had thorough training and is Registered with Yoga Alliance has through and valid certification. What is the primary way to know this:. The teacher should be an R.Y.T. 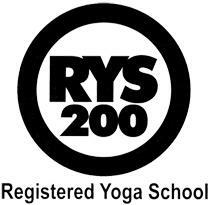 200 or 500 (Registered Yoga Teacher with 200 to 500 hrs of training)or E.R.Y.T. (E = Experienced, has taught a minimum of 1000 class hours). What is happening in the field of yoga? The scramble for certification - registration has ramped up as demand has grown for more classes. Over and over again I run into people who are teaching yoga with little training and very little experience with yoga. There has been an influx of non-reputable certifications, including online certification, one day or weekend certifications.There are in fact some knowledgeable yoga teachers who are not registered, and certification doesn't necessarily mean anything these days, as bogus certifications are everywhere. All of which are do not meet Yoga Alliance Standards. I myself started out sharing my love of yoga with fellow college classmates in the mid 1990's, as I began to have more people interested in taking classes with me I became quickly aware of the need to be thoroughly educated and protect myself and my students. This is about the time Yoga Alliance came into being as they saw the need for standards to protect students. Yoga Alliance is not a governing body, it is a non profit it is a registry site that people who have attended a Yoga Alliance approved training can register with to show they have completed 200 hours of yoga education. How as a student do I protect myself? A student should ask the teacher about their experience and what to expect in class. 1. They have a minimum of 200 hrs. of training in the field of yoga. 2. The teacher must take 30hrs. per three years of Continuing Ed. 3. They teach a minimum of 40hrs per year to keep current with the registry. 4. They have had training in these areas: Teaching Methods, Teacher Training Practice, Philosophy, Life Style and Ethics, Anatomy and Physiology, techniques training (safety)..
6. Liability Ins. will cover your teachers. Currently in Arkansas yoga teachers are self regulated. It is my hope that employers & students will start to understand the benefit of hiring Registered Yoga Teachers, who have put in the time and commitment into their education. How to find an R.Y.T. Go to Yogaalliance.org and look up teachers in your city and state.